Anxiety is a feeling of worry or fear about something and which can be anything from mild to severe. Most of us have been there at some point or another in our life - feeling tense, butterflies on our stomach, sweaty palms - maybe we were about to sit an exam or waiting for the phone call to see if we got that job. This is normal anxiety and which tends to go after a certain situation passes - however for some people, anxiety is constantly present and it's this kind of 'problem' anxiety that has a significant impact on our everyday life. There are a number of anxiety disorders but one that I commonly see in practice is Generalised Anxiety Disorder (GAD). This is a condition that causes you to feel anxious about almost everything and seemingly for no reason whatsoever. Because of this, feelings of anxiety can be particularly difficult to manage and can persist for a long period of time. How does Generalised Anxiety Disorder (GAD) affect you? GAD can affect you both physically and mentally. For those with GAD, worrying is uncontrollable and tends to make you expect the worst. What can be done about GAD? A range of support and treatments are available to you if you think that your anxiety is starting to be disruptive and stop you from doing your normal day-to-day things. Do visit your GP to discuss what options are available to you and whether a referral to talking therapies will be possible. Many patients find support from a counsellor or psychotherapist beneficial and which can be extremely effective as a standalone treatment for milder conditions. I frequently work with a number of counsellors in the local area who find that their clients benefit from using acupuncture alongside talking therapies as an additional source of physical and emotional support. Acupuncture can help reduce symptoms of anxiety in a number of ways. Previous research has suggested that acupuncture can help regulate levels of neurotransmitters and hormones like serotonin and dopamine which has a knock-on effect on changing the brain chemistry associated with mood disorders. Acupuncture can also help to activate the relaxation response by stimulating the production of internal opioids which in turn switches on the part of our nervous system that is associated with resting and relaxing. 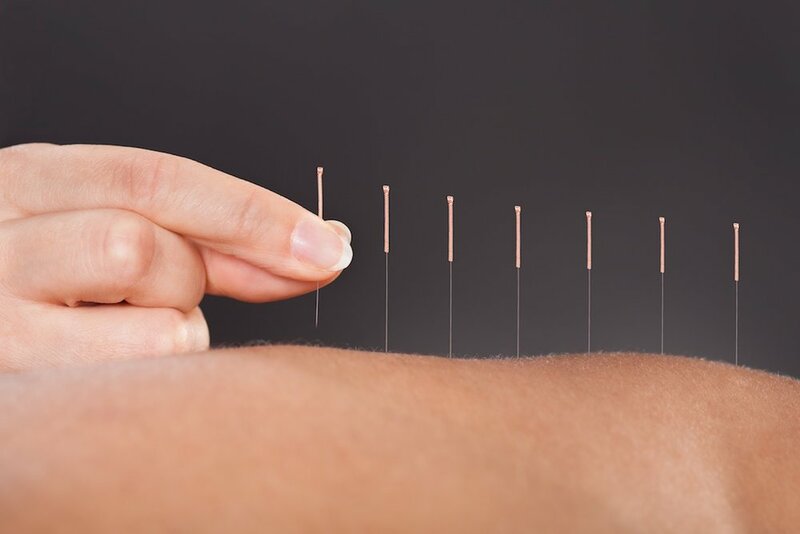 Acupuncture can be used safely in combination with other treatments such as medication or talking therapies and there are virtually no side-effects when acupuncture is given by an experienced practitioner. Interest in acupuncture has been so profound in recent years that research into acupuncture for anxiety is currently being jointly conducted by the charity Anxiety UK and the British Acupuncture Council. Maintain a healthy diet with plenty of fresh fruit and vegetables and include a couple of portions of fish a week. Avoid excessively refined carbohydrates and sugary foods such as biscuits and chocolate. Allocate time in the week for 'active relaxation' where you are doing things which you enjoy - this can be keeping your hands busy with DIY, arts and crafts, going for a stroll, visiting a museum or cooking. If your anxiety is mild enough to allow you to read, 'Overcoming Anxiety' by Helen Kennerley has been a fantastic resource for some of my patients. This is a self-help guide using cognitive behavioural techniques and which has been invaluable in helping patients understand their symptoms and their thought-patterns. If your anxiety is overwhelming at the moment, then acupressure 'sea-sickness' wristbands can be great anxiety 'first-aid'. The wristbands can be slipped on to gently stimulate the point Pericardium-6 (or Nei Guan in Chinese). Traditionally these acupressure wristbands were marketed for sickness and nausea, but the acupuncture point that is stimulated through the pressure is also used in Chinese medicine for anxiety and insomnia. This is a great drug-free and needle-free way of using acupressure to take the edge off anxiety. For more information or if you have particular questions about acupuncture for GAD, please get in touch via the Contact Form or by calling 07815 885 947.